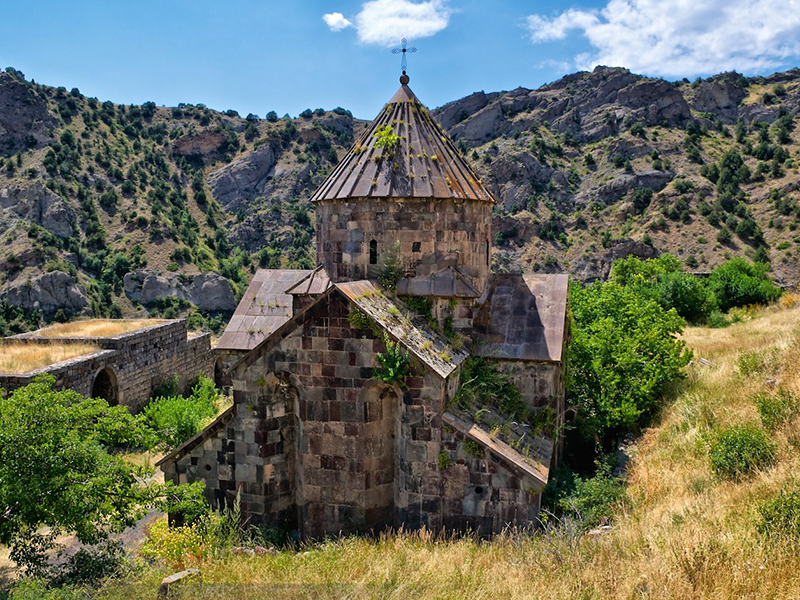 Gndevank Monastery of X-XI centuries is located in the gorge of the Arpa River and is surrounded by one the most picturesque landscapes in Armenia. The road to the monastery is rather complicated and difficult to access. You can get to it on an off-road car, or on foot but first, you will have to go down the gorge and then go up to the monastery. There is a legend about the construction of the monastery. According to it, a divine voice ordered Princess Sophia to build a church. Once the temple was built, the princess gathered hermits and old men for the brotherhood. Gndevank is surrounded by powerful fortress walls, which were fortified in the XVIII century to protect against attacks of Persian troops. The monastery was badly damaged during the earthquake, but later in 1960, it was rebuilt.